The Yucca plant is a hardy plant that requires minimal maintenance. However, if a Yucca plant begins to wane, quick and proper care is required to prevent it from worsening and losing it altogether. Give it plenty of sun. 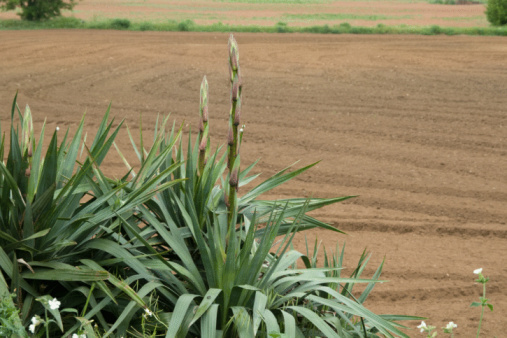 The most common reason a Yucca plant begins to wane is due to lack of sunlight. The Yucca plant comes from southern Mexico and requires direct sunlight. Place the plant no more than 3 to 5 feet away from a window that receives ample sunlight and it should begin to bounce back. Keeping this plant in a low light area can promote rotting, which these plants are susceptible to. Stop watering. Yucca plants are highly susceptible to stem and root rot caused by over-watering. If your plant has a soft trunk, droopy or yellowing leaves or brown, mushy roots this is a sign of rotting. Make sure your plant has gritty soil that drains easily. Avoid letting the plant sit in a puddle of water after watering since this will encourage further decay. Yucca plants thrive in dry conditions. Keep the temperature consistent. Yucca plants do not do well in drastic temperature changes. Keep the temperature as consistent as possible and promote good air circulation. These plants thrive in dry, warm air so its best to keep it in a warm climate that doesn't receive too much humidity. Cut the trunk if root rot sets in. Cut the trunk right above the area that is experiencing the rotting. The roots should be light in color, not brown. Then, re-pot the rooted end of the trunk. Allow time to pass before watering again.